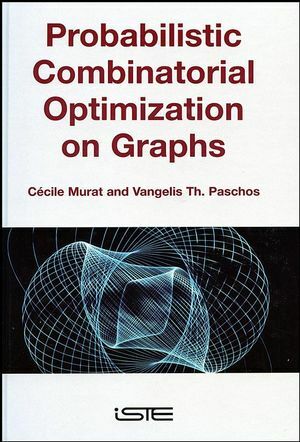 This title provides a comprehensive survey over the subject of probabilistic combinatorial optimization, discussing probabilistic versions of some of the most paradigmatic combinatorial problems on graphs, such as the maximum independent set, the minimum vertex covering, the longest path and the minimum coloring. Those who possess a sound knowledge of the subject mater will find the title of great interest, but those who have only some mathematical familiarity and knowledge about complexity and approximation theory will also find it an accessible and informative read. Cécile Murat is Assistant Professor of Computer Science at the University of Paris-Dauphine. Her research interests include combinatorial and probabilistic combinatorial optimization, the design and analysis of efficient algorithms and the design of efficient solutions for hard combinatorial optimization problems. She is the author of over 20 research papers. Vangelis Th. Paschos is Professor of Computer Science at the University of Paris-Dauphine and Chairman of the LAMSADE (Laboratory for the Modeling and the Analysis of Decision Aiding Systems). His research interests include complexity theory, the theory of the polynomial approximation of NP-hard problems, probabilistic combinatorial optimization and on-line computation. He is the author of more than a 100 research papers and is a member of the editorial board of several international scientific journals.